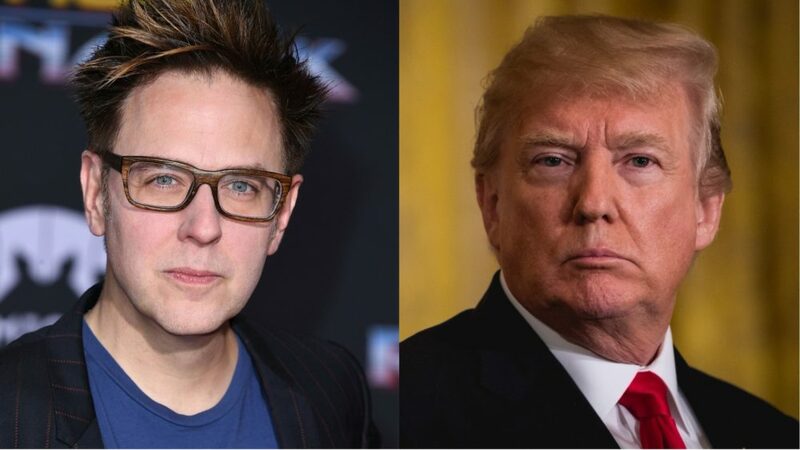 Director James Gunn, best known for his work on Guardians of the Galaxy, does not believe the results of President Trump’s White House physical — and he’s willing to pay for the truth. In response to an announcement regarding Trump’s height and weight, the director took to Twitter to offer $100,000 to a charity of Trump’s choice provided he weighed himself in a more impartial setting. And, in the process, added to the #Girther movement on Twitter, which directly trolls Trump’s “birther” claims against Obama. In demanding the truth about Trump’s physical stats, James Gunn contributed to the tongue-in-cheek “girther” movement. It’s a direct response to the “birther” movement, which Trump originated years ago, that questioned President Obama’s citizenship (and by extension, legitimacy as president). Gunn’s tweets demand honesty from Trump and from his doctor, certifying the White House has not lied about his stature: 6 feet 3 inches tall and 239 pounds. Gunn wrote, "I will give 100 thousand dollars to Trump's favorite charity if he will step on an accurate scale with an impartial medical professional, okayed by both of us. For real. #Girther #GirtherMovement"
The director was quick to point out this offer was in no way meant to body-shame the President. When questioned about his sensitivity on Twitter, Gunn replied that “This has nothing to do with fat shaming. It has to do with a continuous pattern of fabricating facts by both Trump and his administration.” That’s an important distinction! It’s not that Gunn is attacking Trump’s physical appearance, or ascribing any qualities to his “actual” weight in numbers. It’s a mission of honesty. It’s unlikely that the White House will answer Gunn’s request, even if it *does* mirror the time the current president offered $5 million to a charity of Obama’s choosing if he released his college transcripts, but time will tell.